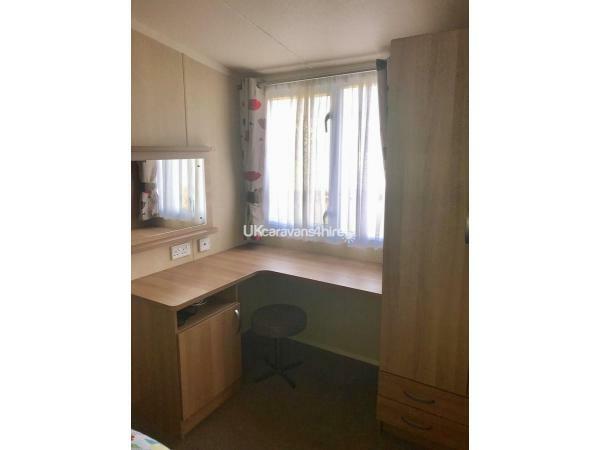 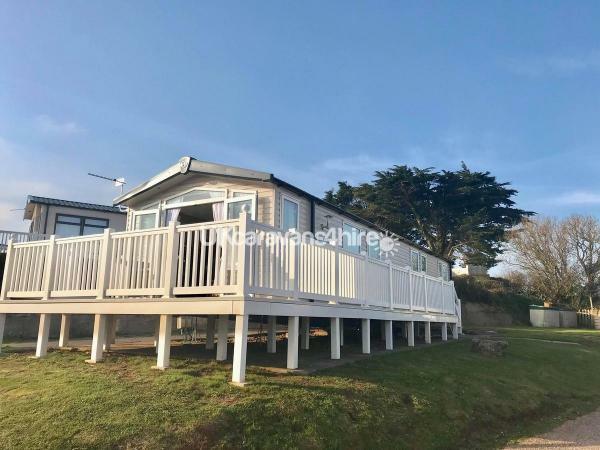 Fully double glazed and central heated, front opening French double doors on to large veranda with patio table and chairs with beautiful seaviews located on The Cedars area of the park. 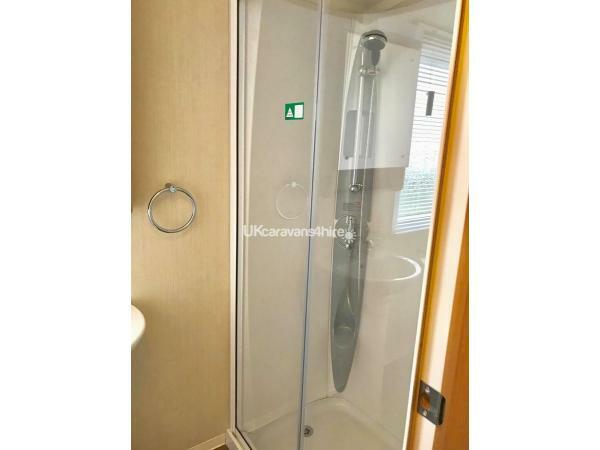 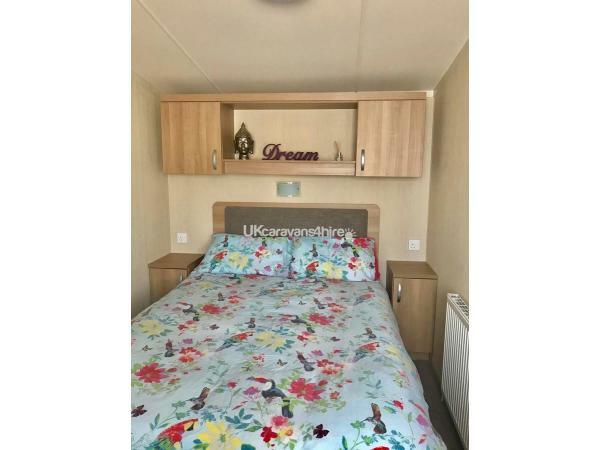 Bedrooms - The caravan has a main double bedroom with room at the end of the bed for a travel cot if needed, also ensuite wc and sink. 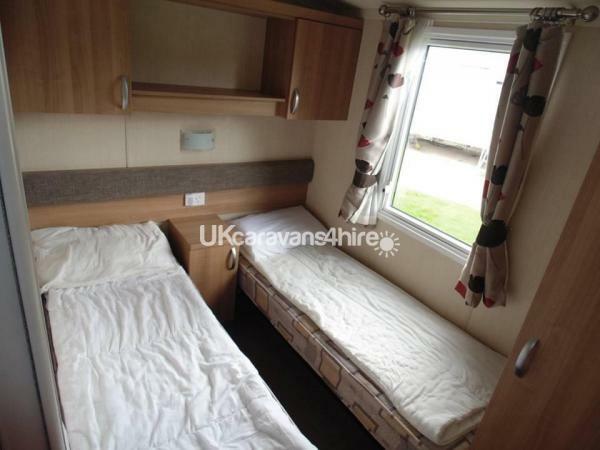 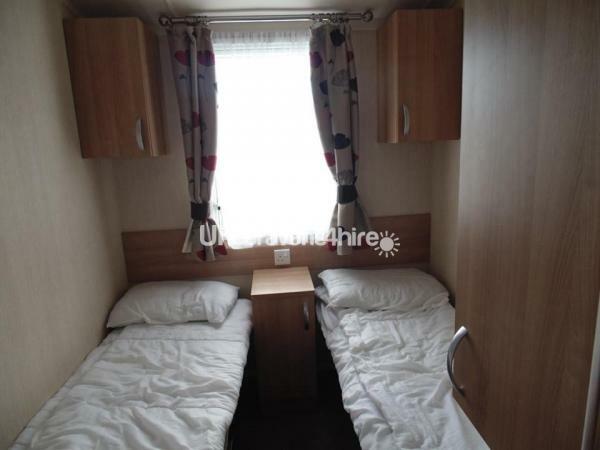 2 x Twin bedrooms with beds that can be pushed together to create double beds. 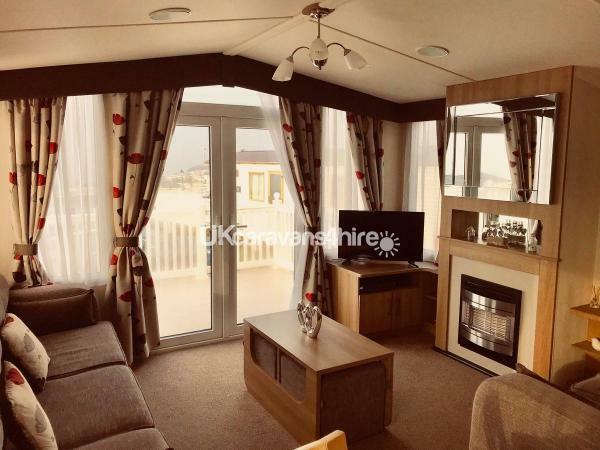 Sleeps 8 in total using bed settee in lounge. 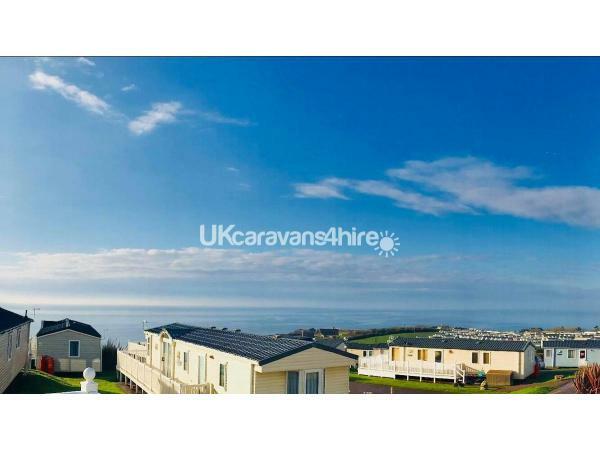 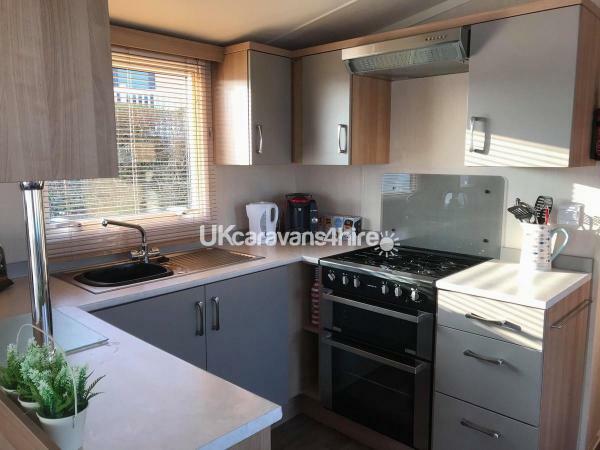 Situation - The caravan is situated in a very quiet area of Devon Cliffs, at the end of a cul de sac so no through traffic and is very quiet with amazing seaviews. 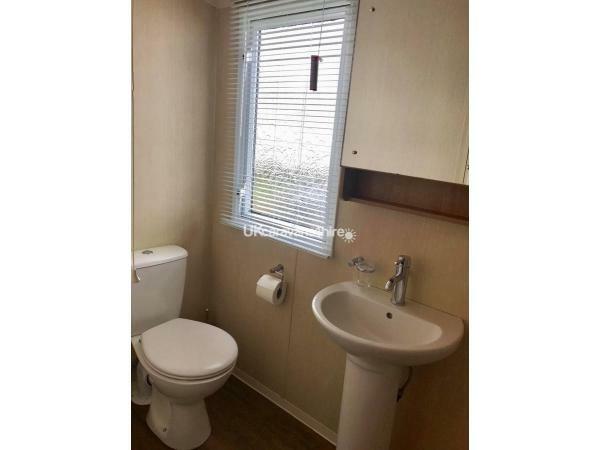 There is a lot of grassy area outside the caravan allowing space for playing outside, great for children.